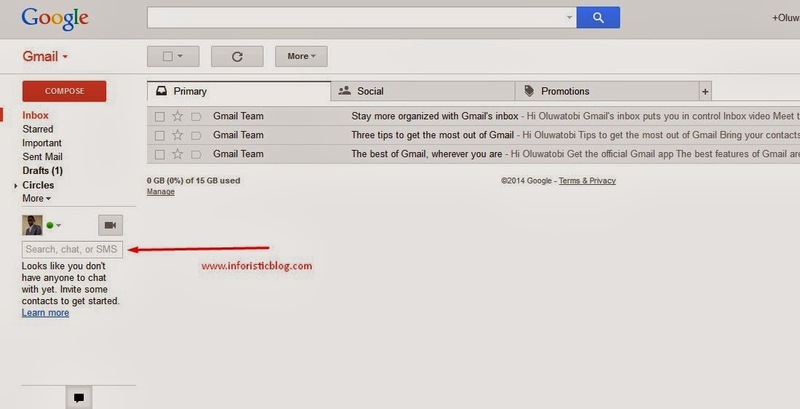 Gmail is one of the products of Google and when it comes to free and easy to manage mail with a lot of space, Gmail is definitely the best. Gmail allows you to login easily on your mobile, PCs and other internet devices without hassles unlike the yahoo mail that could give so much trouble while trying to login from your mobile phone. One of the advantages of Gmail that i love so much is the ability to send texts from your Gmail account to your peeps on your Google contact list. 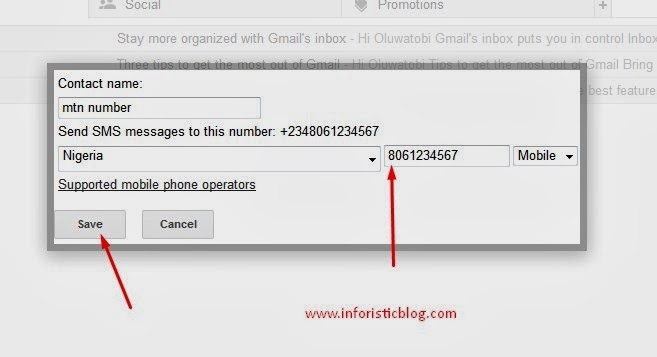 This tutorial will guide you on how to add new contact details and message them via your Gmail account free of charge. Step 4: Save your Input on the Pop-up window and get ready to send your first SMS. NB: Please note that you only have 50 points to send sms daily and you will get the point spent on an SMS when the recipient replies i.e when you send an SMS to someone, a point will be deducted from the 50 points and you will get the point back if the person replies your message. You can only send text on the Desktop version, this feature can not be found on the mobile version of Gmail. Happy texting. For any questions, comments or observations, kindly use the comment box below this article to let me know. CHEERS! If this article was helpful, kindly use the share buttons below to share it with your friends. I will be sharing different Tips on various Google products that you won't like to miss in my subsequent write-ups, so use the links below to ensure you get them as they drop.